In an extraordinary turn of events, the U.S. Federal Communications Commission appears set to implement strong new rules, later this month to enforce Net Neutrality on the Internet. If the new rules are implemented, it will have major favorable implications for future global Internet policy with the International Telecommunications Union in Geneva, Switzerland. This means simply that all traffic on the Internet will be treated equally and fairly, which is one of the founding principles of the Internet, since its invention by Sir Tim Berners-Lee, Vin Cerf and others back in the 1980’s. It is the same for voice telecommunications the World over. The current problem has been the preference of large corporate Internet Service Providers (ISP’s) to charge preferentially for priority access, or “paid prioritization.” The potential for abuse by corporations is obvious. Comcast, one of the largest “carriers with content,” has been cited for the potential to prioritize its NBC content over other competitor content, if Net Neutrality were not enforced. Netflix had already capitulated to Comcast and entered into what is known as a paid “peering agreement,” to insure priority of Netflix streaming content. If the FCC Title II rules are implemented, the Comcast/Netflix agreement would likely become null and void. According to multiple people familiar with the agency’s plan, Mr. Wheeler intends to change the way both mobile and fixed broadband firms are regulated. Rather than being lightly regulated information services, they would become like telecommunications companies, which would subject them to greater regulation on everything from pricing to how they deploy their networks. A key element of the rule would be a ban on broadband providers blocking, slowing down or speeding up specific websites in exchange for payment, a practice known as paid prioritization, these people say. Mr. Wheeler’s expected proposal tracks closely with President’s Barack Obama’s Nov. 10 statement, in which he called for the “strongest possible rules” to protect net neutrality, the principle that all Internet traffic should be treated equally. That represents a major shift from the chairman’s initial plan, which would have allowed some paid prioritization. In his statement, the president called for Mr. Wheeler to classify broadband providers as common carriers under Title II of the Communications Act, a move that came after months of campaigning by activists, Web startups and others. The proposal would also give the FCC the authority to regulate deals on the back-end portion of the Internet, where broadband providers such as Comcast Corp. and Verizon Communications Inc. pick up traffic from big content companies such as Netflix Inc. and network middlemen like Level 3 Communications Inc. The FCC would decide whether to allow these so-called paid peering deals based on whether it finds them just and reasonable, the standard under Title II. A federal court struck down the FCC’s most-recent set of net neutrality rules in January 2014, sending the issue back to the agency for the third time. Wireless and broadband industry officials have indicated they plan to sue again if the FCC moves ahead with Title II, which they believe would saddle them with outdated regulations and depress investment in upgrading networks. It remains unclear how the proposed rules will treat other practices besides paid prioritization, such as zero-rated mobile plans that let users access only a small number of apps without hurting their monthly data allowance. The FCC is also expected to exempt broadband providers from the bulk of Title II regulations, in areas including what they charge their customers, through a process known as forbearance. Mr. Wheeler is expected to circulate his proposal on Thursday, with a vote scheduled for the FCC’s open meeting on Feb. 26. 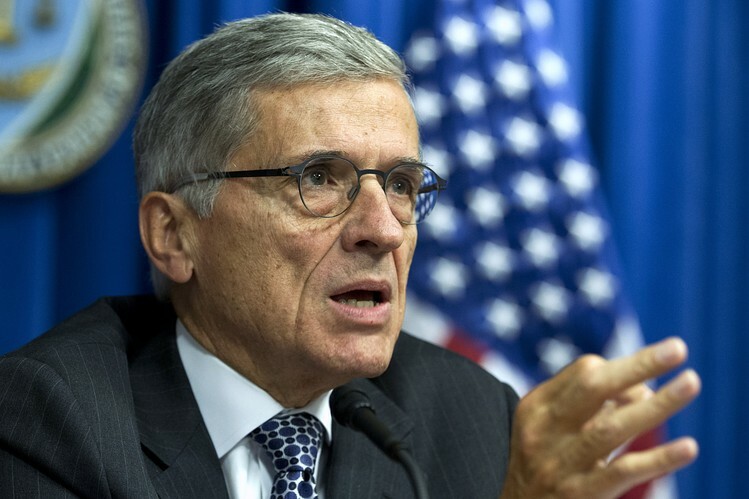 A majority of the FCC’s five commissioners must approve the rules for them to take effect.